BRIAN BAUER of Indiana, hunted hard with us in February, taking this nice cougar. 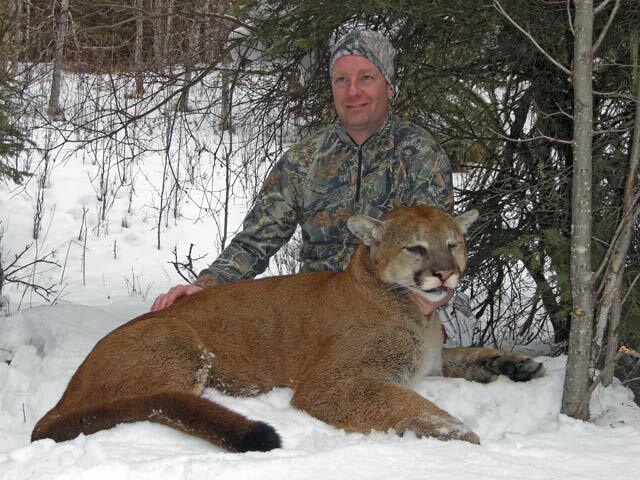 GERRY PURCELL of Saskatchewan, harvested this great mountain lion after letting one go early in his hunt. 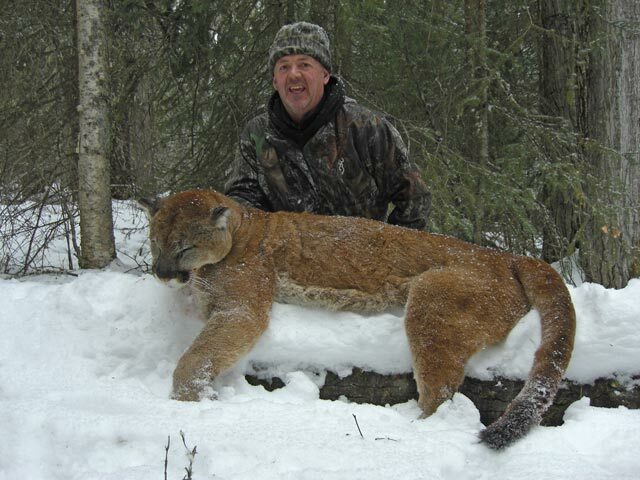 Gerry's Boone and Crockett record book cougar scored 15 2/16" and weighed 153 pounds. 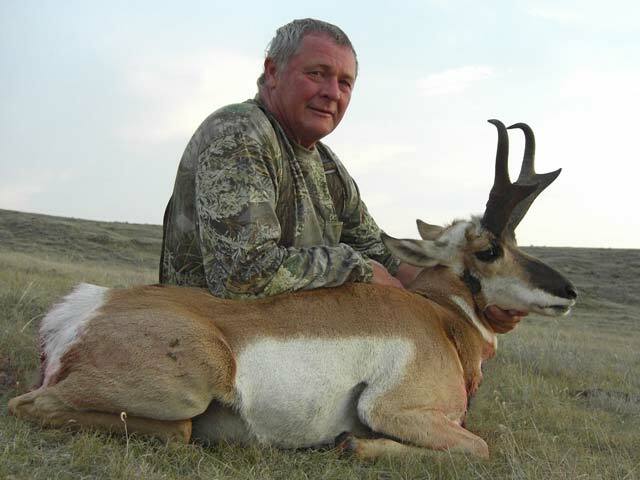 RENATO VANOLI of Switzerland, came a long way for his first pronghorn antelope hunt. He harvested this fine Alberta antelope buck on day one and helped us spot the brute below. 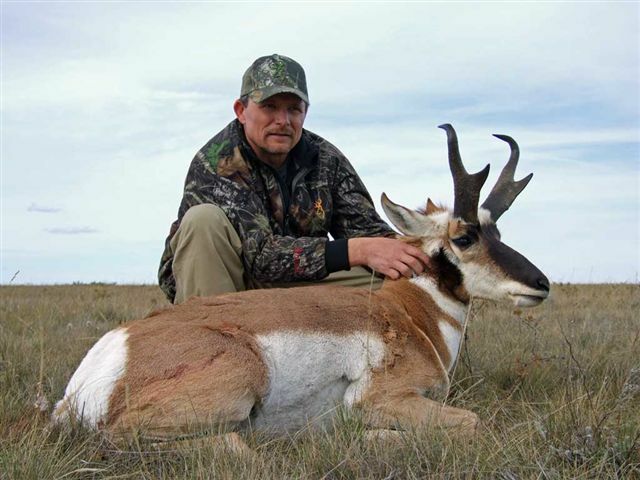 CRAIG LAING of Ontario, joined his brothers Alan and Ron on a September antelope hunt. 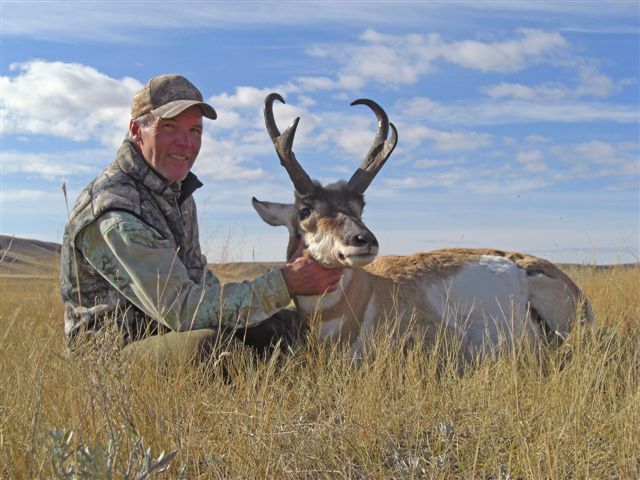 He harvested this gorgeous pronghorn buck on the second day. Length, prongs, mass, it has it all! 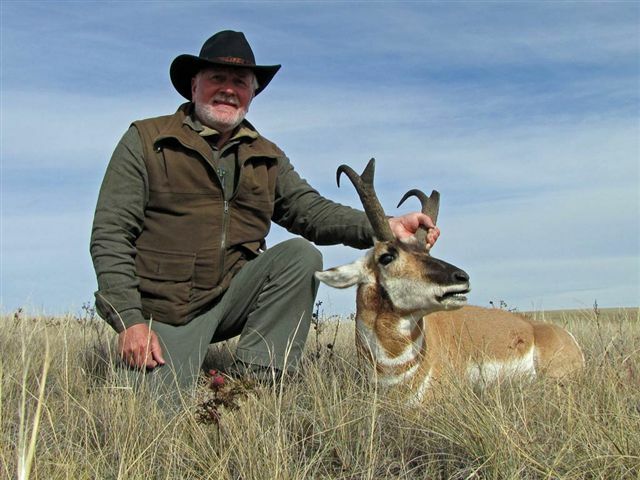 ALAN LAING of Arizona, came on his second antelope hunt with us taking this pretty buck. He has also been with us for deer and moose along with his son Brandon. It was great to have our friend Alan and his kin hunt with us again! 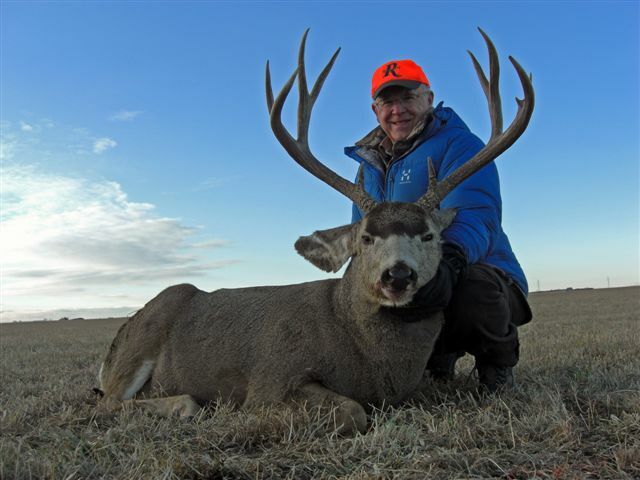 MEL FUNK of Manitoba, was thrilled to take this nice muley after an October snowfall turned the foothills and mountains white. We had unusually cold temperatures during the hunt, good thing these Manitoba boys are tough! 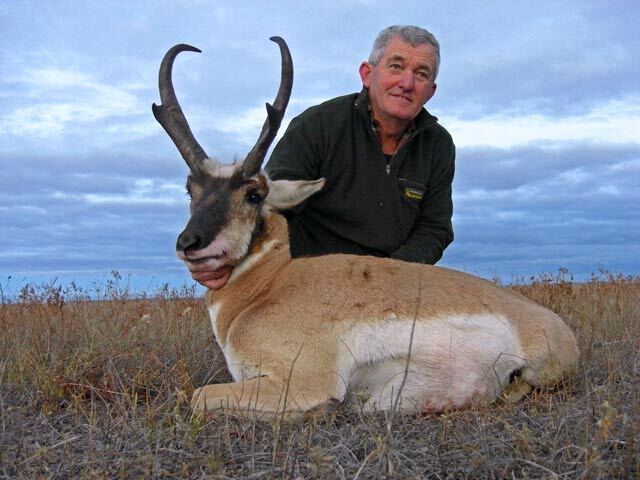 TREVOR HARRIS of Australia, came over to Alberta in October looking for his first antelope. 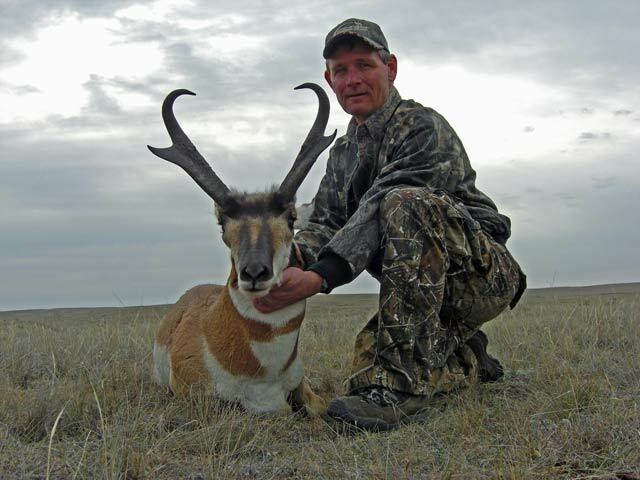 He took this high and heavy pronghorn late on the first day. We have to thank Trevor for all his help carving and caping for a full mount. Word of advice though, he's a retired butcher, don't ever get into a knife fight with this guy! 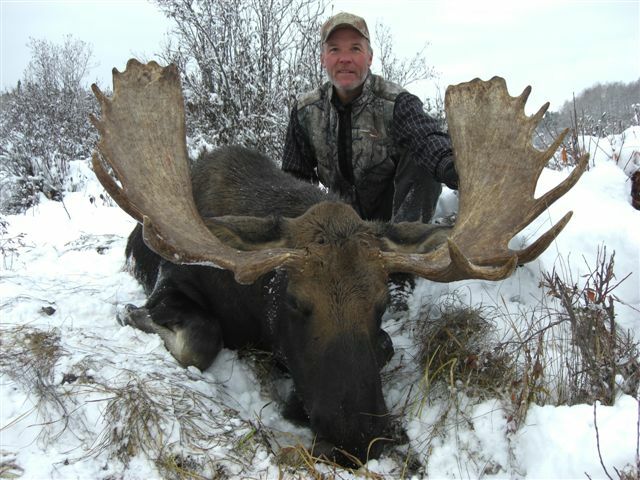 BILL WILSON of Montana, came north for a couple weeks of hunting. We started out after pronghorns in late October. After a long and well executed stalk on a picture perfect day, he made a skilled long shot to harvest this exceptional trophy antelope buck. Note the huge prongs and terrific mass. We took advantage of the beautiful fall weather and got our dogs out in the field for a couple days for a little upland bird hunting. We were pleased to shoot a few hungarian partridge and pheasants over our pointers. 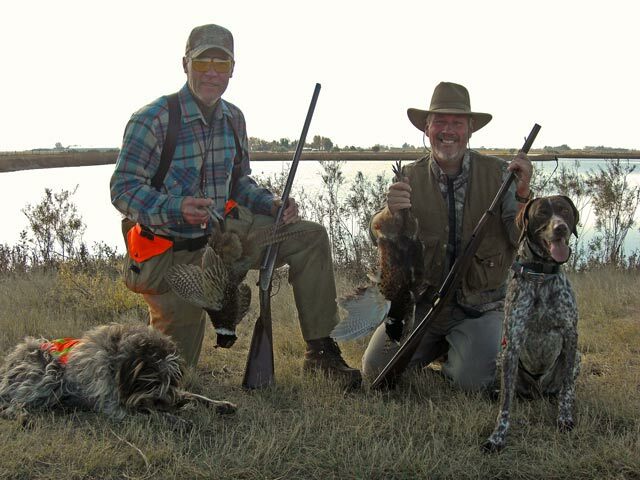 Our friend Bill has hunted with us several times over the years and we enjoyed having him and his Pointing Griffon, Ralia back! The next week Bill took another tremendous Alberta trophy when he connected on this big bull moose during the mountain portion of his hunt. 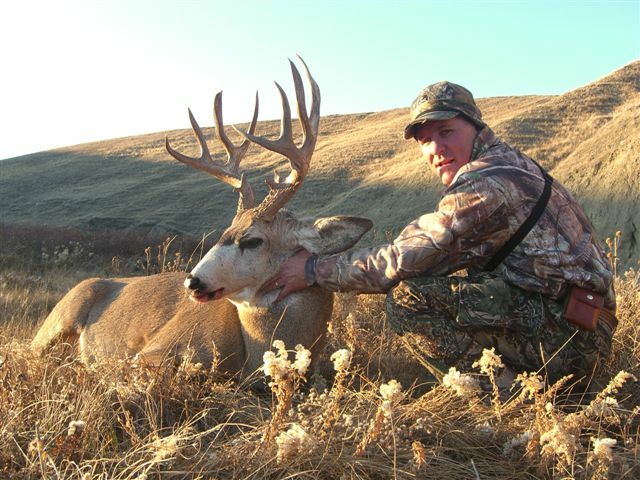 MARK SMITH of Arizona, was more than just lucky to connect on this beautiful prairie whitetail the first morning of his hunt. He made a great spot in finding this deer and an excellent shot to take him. Check out the brow tines, matching stickers and mass. Mark was using a .30-06? with 165 grain? Barnes X Triple Shock bullets. 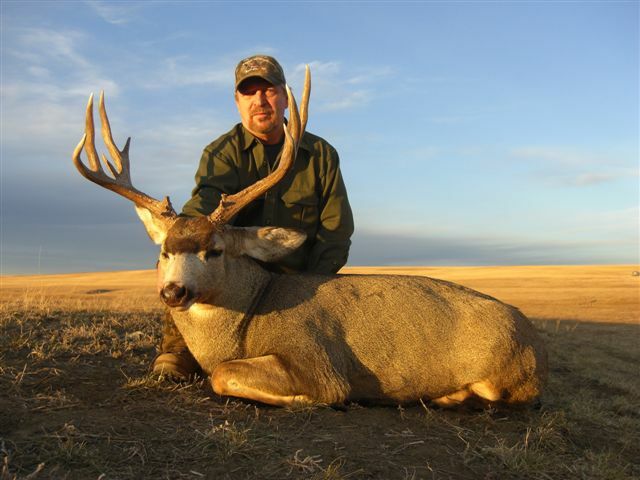 Mark also took this old, heavy and bladed prairie muley on his last day with us. Tremendous mass and double brow tines! We had been battling the wind for days and the long hikes through the coulees finally paid off. After a really cool stalk, he added another big Alberta buck to his collection. 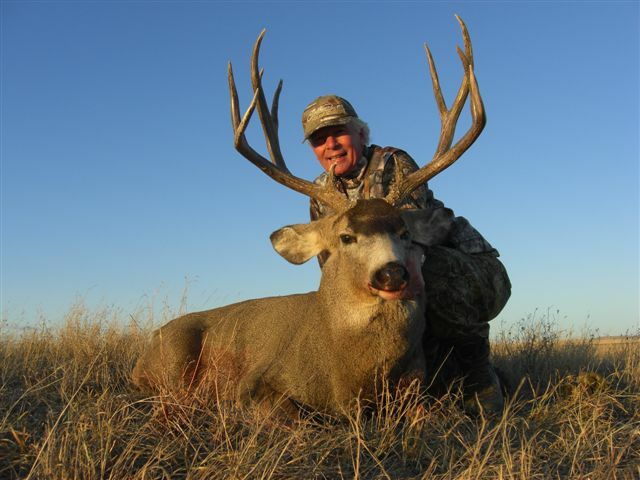 RUBE WOOLSEY of Arizona made a great shot on this nice whitetail after a perfectly executed stalk on the very last day of his hunt. These Arizona coyote hunters are good with a gun! 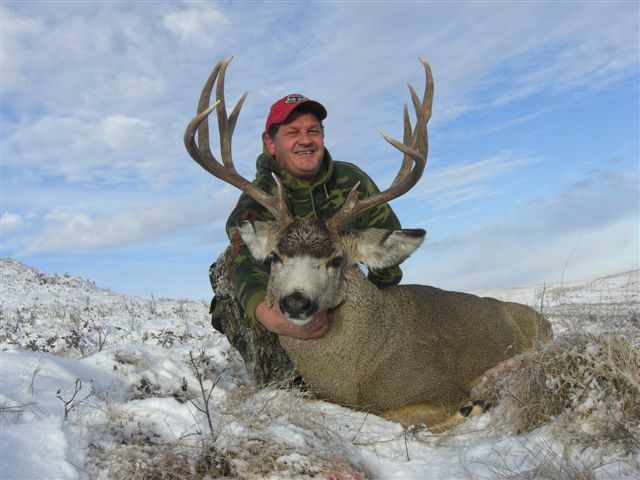 RAY LIDEN of California, chose this high racked 4 x 5 mule deer on the last morning of his hunt. 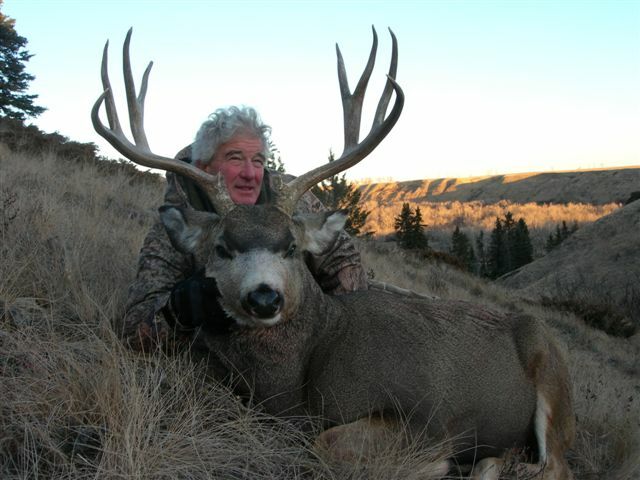 Super brow tines on this muley! 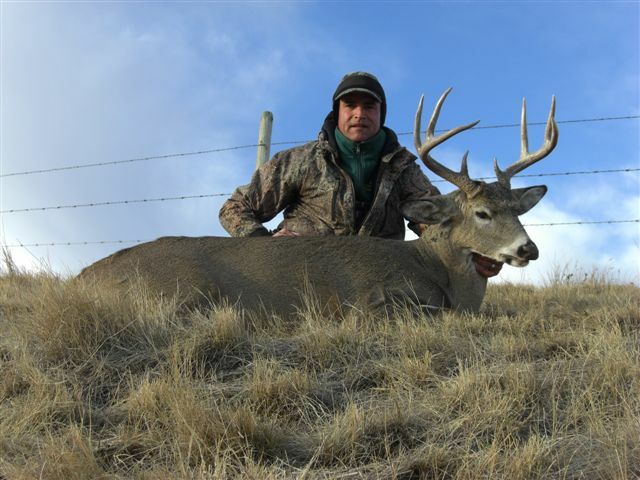 GABRIEL ECHAVARIA of Columbia, travelled far to hunt Alberta deer in both the prairies and mountains. 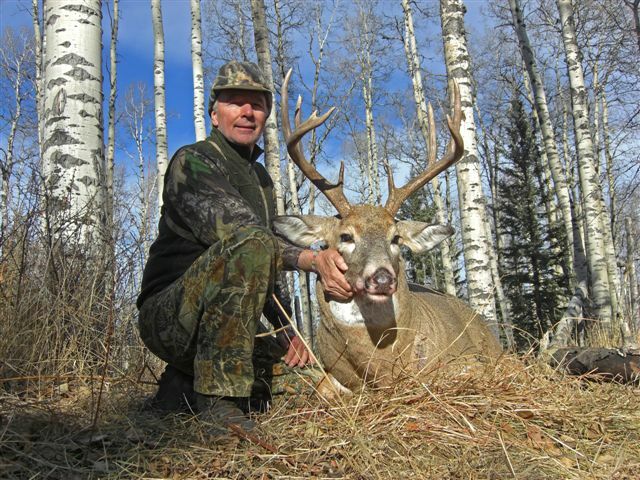 He took this handsome whitetail on the first day of his November hunt - on horseback in the Alberta Rockies. A couple days later, after a challenging stalk, he took this deep forked, 4 x 5 trophy mule deer while hunting on the Alberta prairies. DENNIS WOODRUFF, currently of the high seas, (Bon Voyage Dennis!) took this beautiful buck on his first day hunting the prairies with his friend Gabriel. We managed to intercept this buck just as we had planned and Dennis was ready when he appeared, with a perfect shot! 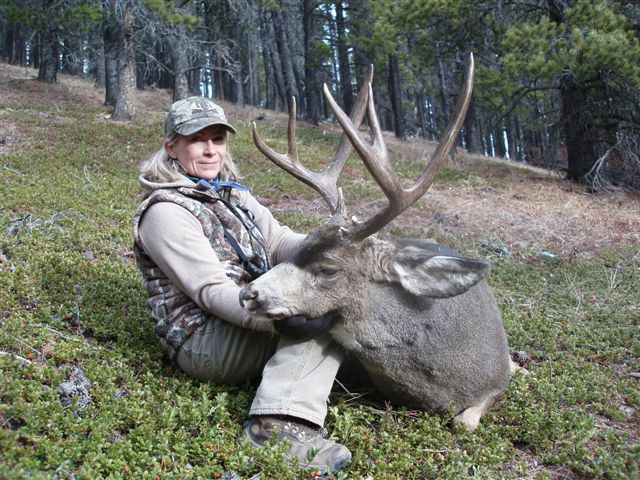 TRACY BURTON with her "dagger buck." Sometimes guides get a day off to do some hunting of their own. This heavy old mountain muley is a unique trophy and will always be a reminder of a special day in the field with friends. 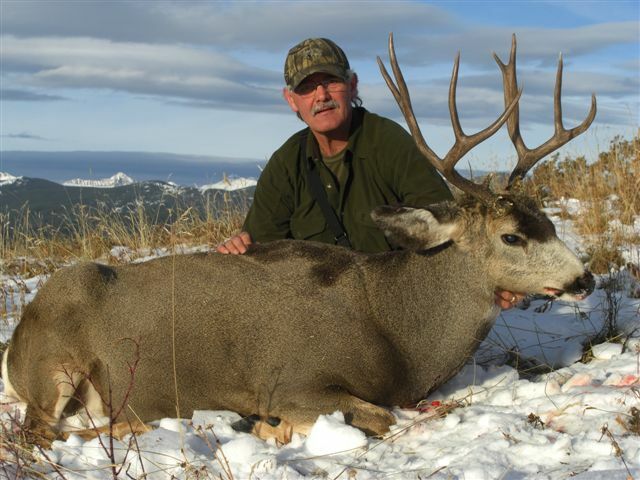 DONALD SHRUM of Nevada, took this heavy, old mule deer on a sunny November day. This 4 x 5 had super mass along with double and triple brow tines. We spent all day after this big buck and made what was likely the most difficult stalk of the season. Making our best guess as to his hidden location, we patiently belly crawled down a fenceline within yards of him, as it was our only chance to get a shot! 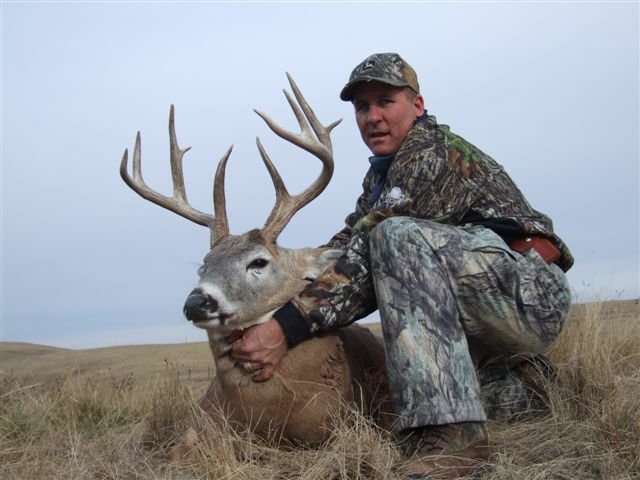 JIM PHILIPZYK of British Columbia, with his nice muley buck, taken on the last day of the prairie hunts. We finally had snow to get the deer up and moving. Jim made a great long shot and helped us finish up our season in style with friends! Thanks to everyone who joined us and made 2009 another memorable year for us. We are honored to share your experiences and successes with you! Besides that we had a lot of fun! Billy Franklin, Brad Stuparyk, Carole Frei, Dale Silbernagel, Henry Giles, John Gordon. We couldn't have done it without you! Best wishes and good hunting to all in 2010.